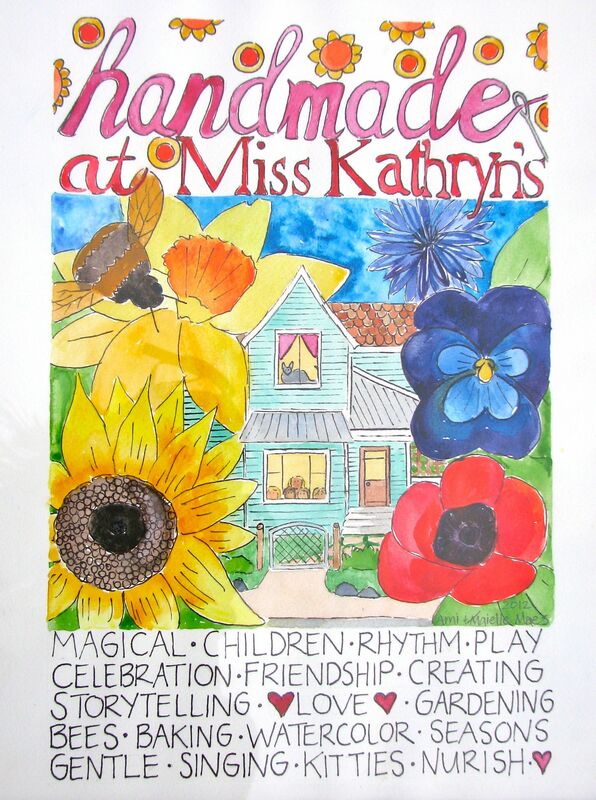 HANDMAKERY created three hand-painted watercolors to share with those “close to our hearts.” One for the lovely Miss Kathryn Camp of Miss Kathryn’s, a licensed home childcare program, Waldorf inspired, located in downtown Carbondale, Colorado, as a little “thank you” for creating such special memories! The original painting was framed and wrapped for Miss Kathryn and colored prints were made for each child, as a keepsake! 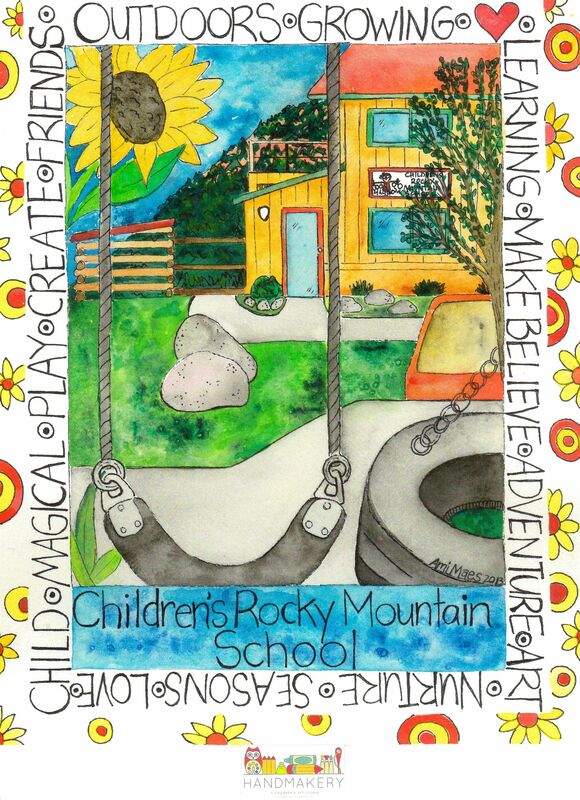 Another watercolor was for the lovely teachers and children of the Children’s Rocky Mountain School, a fabulous preschool, located just minutes outside of Carbondale, again as a little appreciation for such a special year together + a little memory for each child! The third as a little gift for our very own Nana + Popi! Handmade comes from the HEART!